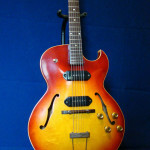 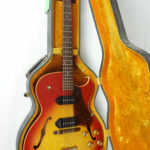 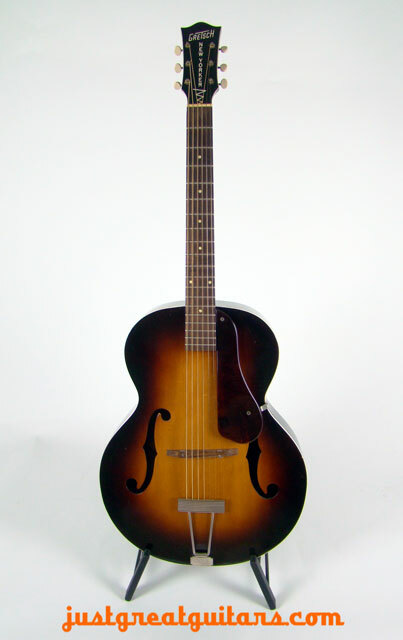 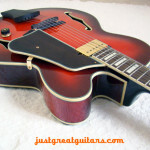 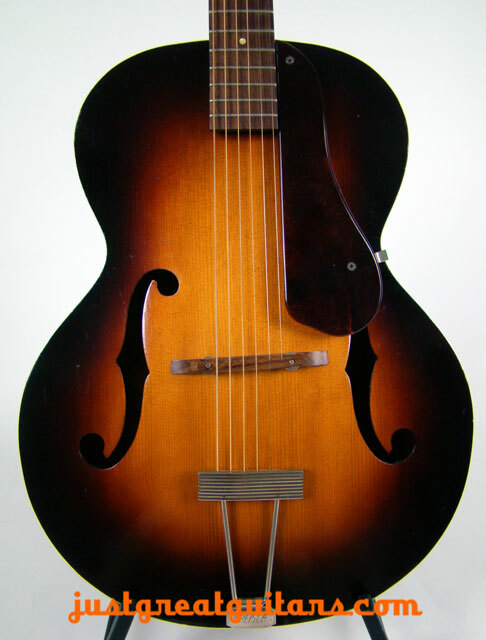 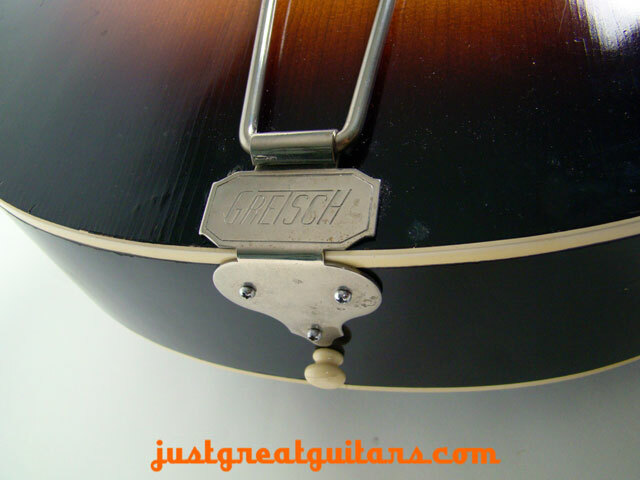 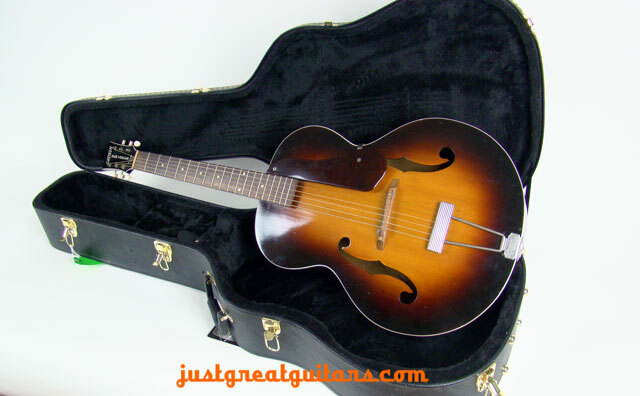 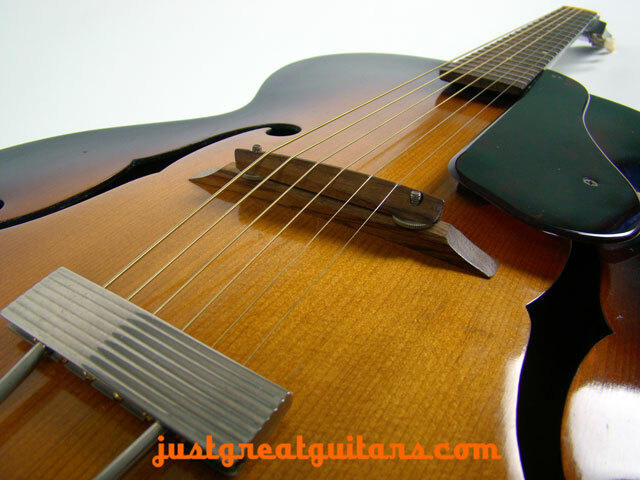 The Gretsch 6050 ‘New Yorker’ Model was originally designed as an entry-level archtop and rapidly became very popular when first introduced by the company. 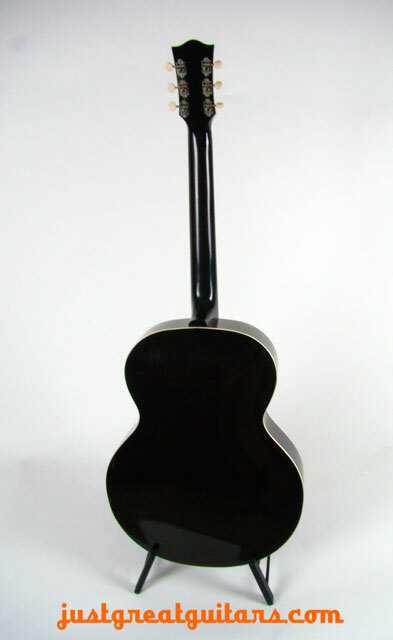 The cosmetic design of the guitar changed very little over the years and it remains a stunning acoustic guitar, which is very comfortable to play, and looks every inch the vintage beauty that it is. 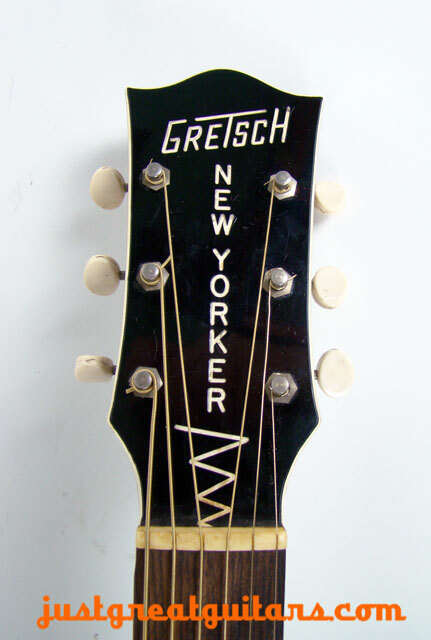 This ‘New Yorker’, which dates from 1958, really has everything you’d want from a good acoustic guitar. 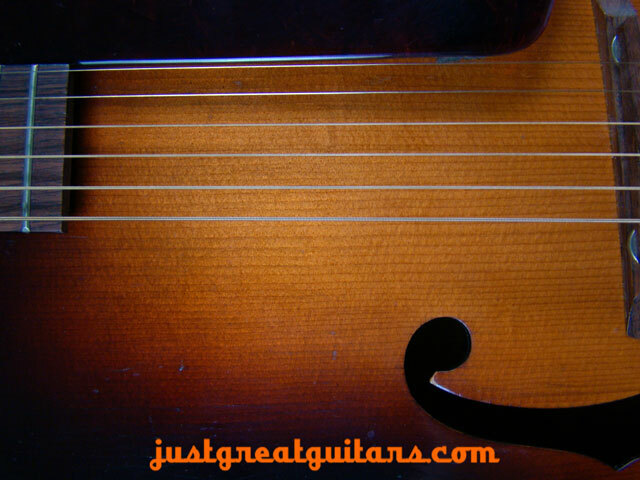 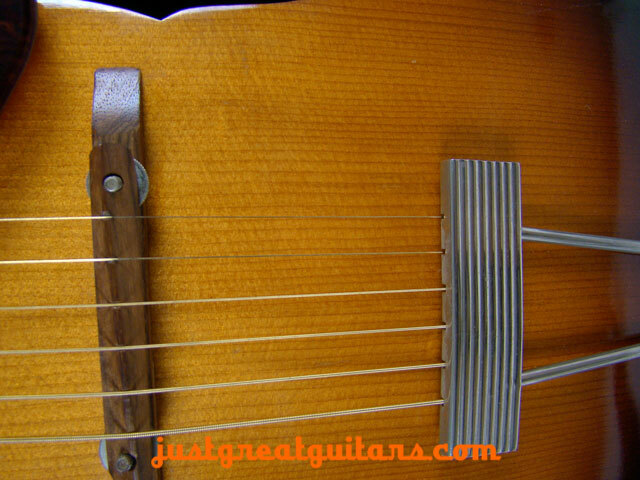 It has a big (almost three-dimensional) sound with great separation across all the strings and the medium sized neck makes chording and single-string runs a breeze. 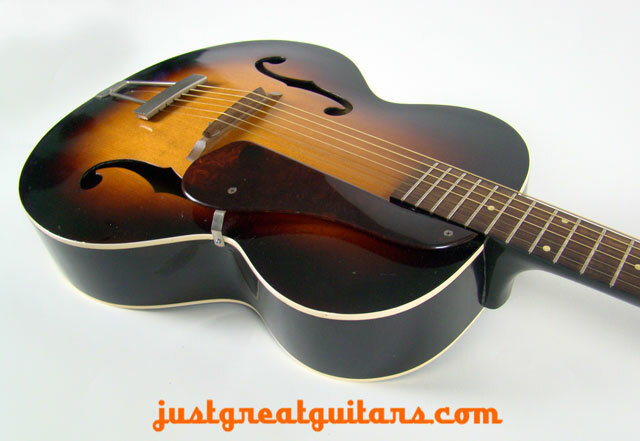 Whether you are a weekend strummer or a seasoned professional, this guitar will not disappoint in any musical situation and we were particularly impressed by the sheer volume and fabulous rich tone the guitar produces. 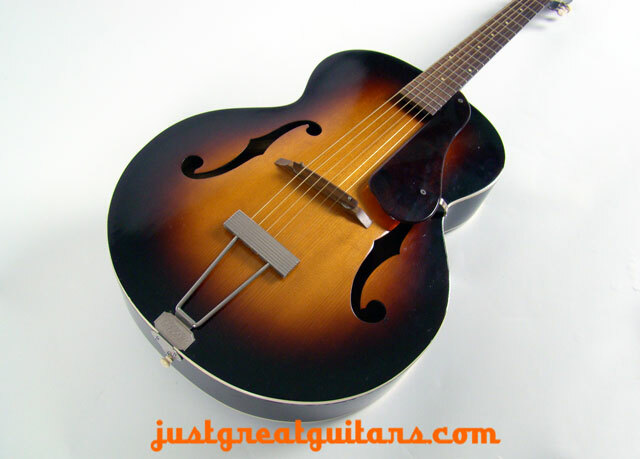 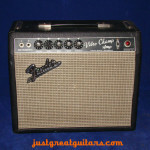 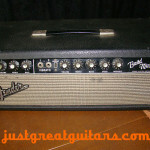 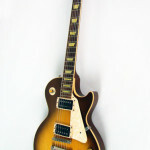 It would be an excellent choice for recording and songwriting as well as live performance. 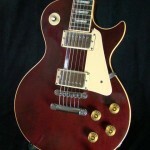 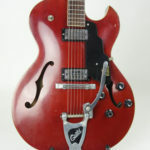 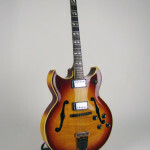 The guitar is in very good condition with only minor player wear and the added good news is that it is all original right down to the nickel tailpiece, open back tuners and adjustable rosewood bridge. 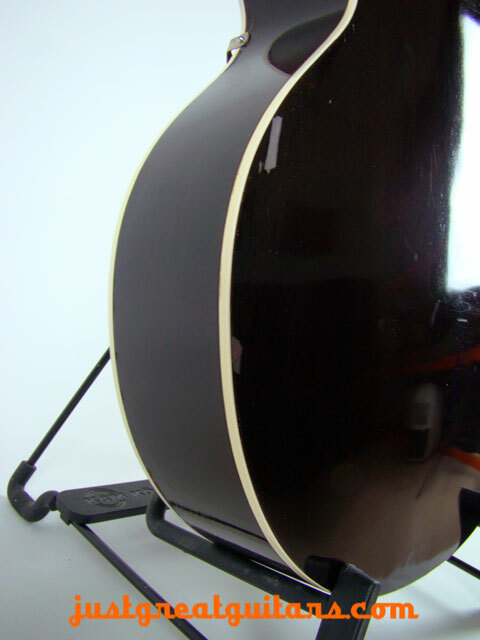 It comes with a modern lined hard case. 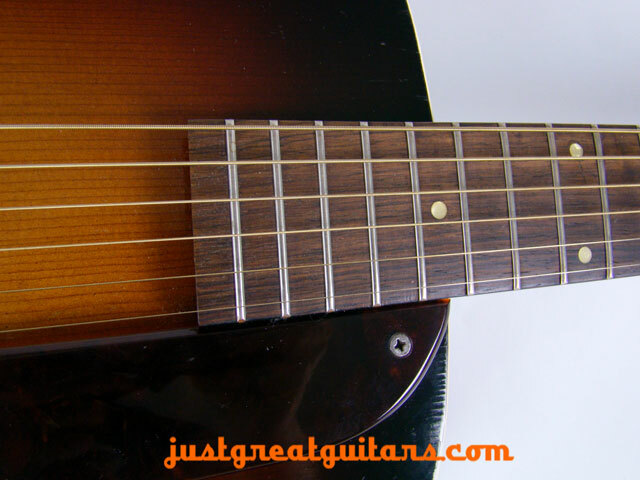 This guitar is a really impressive, well-crafted and big-toned acoustic and would suit players in almost any musical genre. 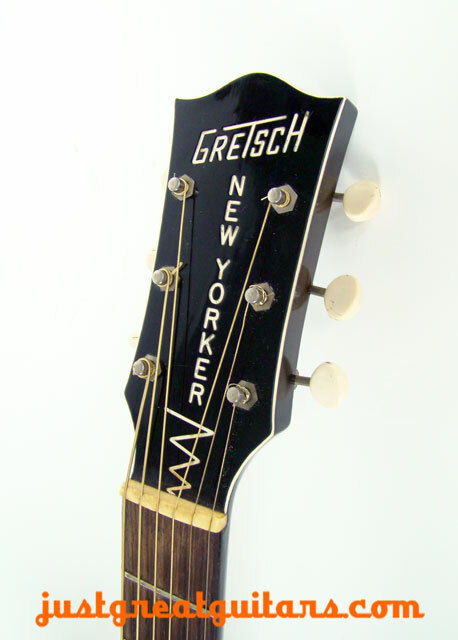 If you want a great tone, superb playability and an instrument that just oozes vintage chic, then look no further than the ‘New Yorker’. 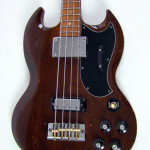 Scale length is 25 7/16 in. 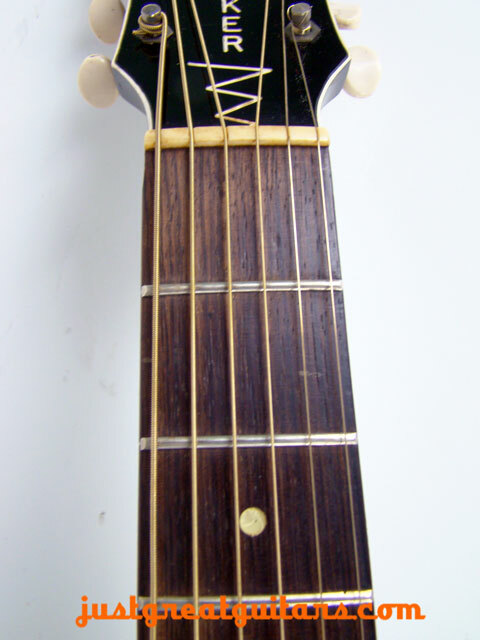 Width of nut is 1 13/16 in.